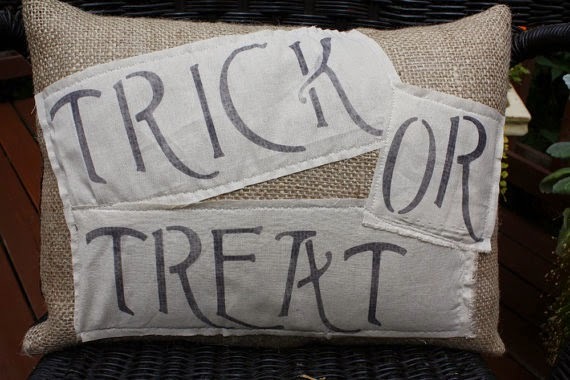 I love Halloween decor. Love it. 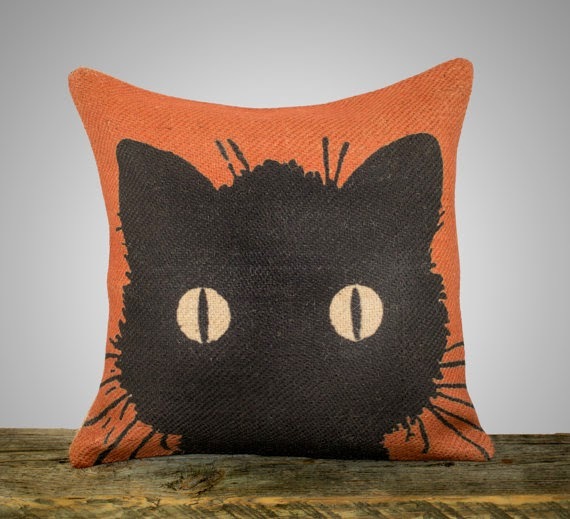 And I love black cats, so am I am a sucker for these fabulous Halloween pillows. Although the black cat pillow (above) would go in my house year round. 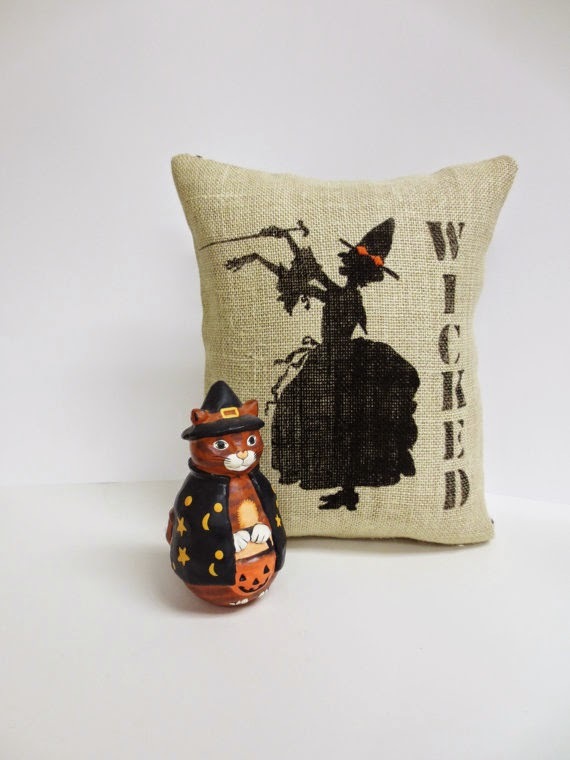 You can find the black cat and the pumpkin on Etsy. 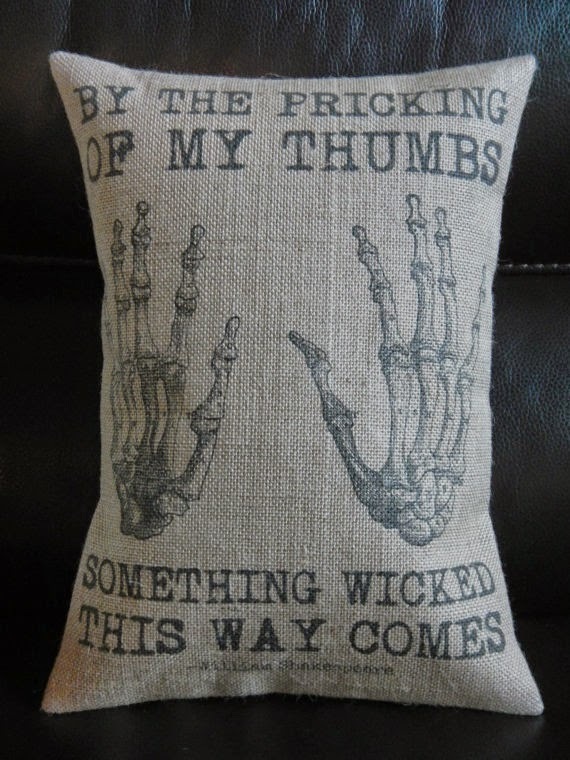 Love this pillow from Etsy referencing the Ray Bradbury novel. This one is just Wicked. They're all so cute!!! 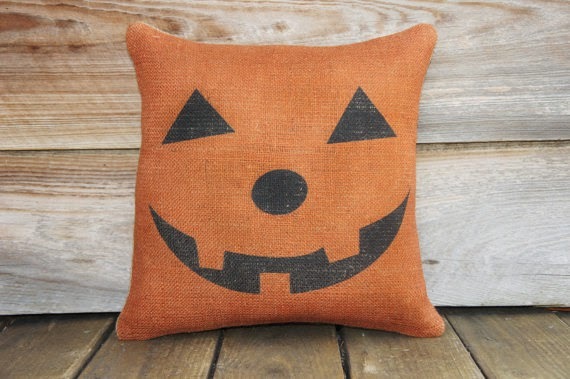 I love Halloween decor too.